Simply Morzine is THE original and best Morzine specialist, offering truly unique high-quality alpine holidays in Morzine since 1995. Independently owned and managed by the Marshall family, we pride ourselves on the very best-located properties, unrivalled personal service and exceptional cuisine. 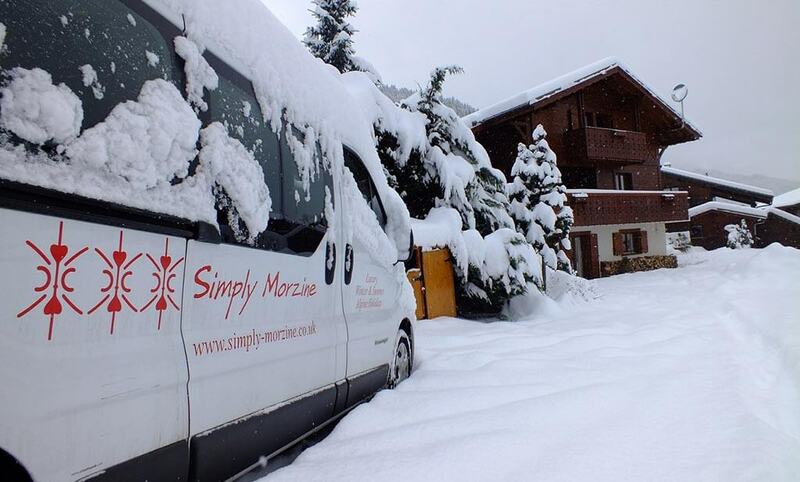 Simply Morzine is highly-regarded for integrity, quality and flexibility. Simply Morzine history: 1985 – present. Ever the entrepreneurial pioneer, our founder, Mike Marshall, learnt his trade offering ski holidays across the Alps. From 1985, ‘The Mike Marshall Ski Club’ provided 1000s of ski holidays at leading resorts throughout Europe and North America. Upon ‘discovering’ the Portes du Soleil, BASI ski instructor Mike decided Morzine was the heart of the most extensive ski resort in the world. In 1995 he swiftly capitalised on an opportunity to buy a plot of land to build our flagship Chalet des Montagnes, from where Simply Morzine was born. Today Mike’s sons Gareth and Ben continue the Simply Morzine tradition in conjunction with a committed and capable resort team. We are only as good as those we work with. Our team are our greatest asset and the greatest reason why a Simply Morzine holiday is so memorably unique. Aware that finer details make all the difference, we handpick our professional and caring resort team – with a high ratio of staff to guests. Our friendly and welcoming team aim to deliver exceptional levels of unobtrusive personal service – ensuring your Simply Morzine holiday experience meets and exceeds expectations. We take pride in being widely known as the best company to work for in Morzine, with many members of staff being past guests and returning year after year. At Simply Morzine we are passionate about food and wine. The lavish culinary delights we serve epitomise the essence of our chalet holidays. They have helped to establish our reputation as a leading catered chalet company. Our professional chefs lovingly prepare and present sumptuous cuisine using the finest seasonal ingredients – each dish packed full of individuality and flair. Dining at Simply Morzine is a memorable experience. We offer a small portfolio of superbly-located handpicked high-quality catered and self-catered chalets and apartments in Morzine, France, including an exclusive partnership with the charming Hotel la Chaumiere. Most Simply Morzine properties have hot-tub, sauna or heated swimming pool. Simply Morzine specialises in high-quality catered chalet and hotel holidays. Across our accommodation portfolio, we offer both weekly stays and flexible short breaks. In addition to our catered properties, we also have a self catered chalet and smaller self catered apartments in Morzine. Morzine is also a fantastic French summer holiday resort. In July and August we operate unique and highly regarded family alpine activity holidays. Our exclusive programme of activities caters for all ages, interests and abilities and offers an exciting alternative to the traditional beach holiday. Various catered and self catered accommodation options are available. As a change from our alpine holidays, the Marshall family and Simply Morzine also offer beachfront villas in Portugal. Maintaining the ‘Simply’ brand of quality, our sister company, Simply Salema, boasts a small selection of high-end high-quality self-catered holiday villas in the pretty and unspoilt fishing village of Salema in the western Algarve. Simply Morzine: Purveyors of the finest high-quality winter and summer holidays in Morzine, France since 1995.